I did not write about Early Access Two, but it contained several good incremental improvements and introduced the Klackons and Terran Khanate to the game. I played it for a bit, but didn’t really dive deep. 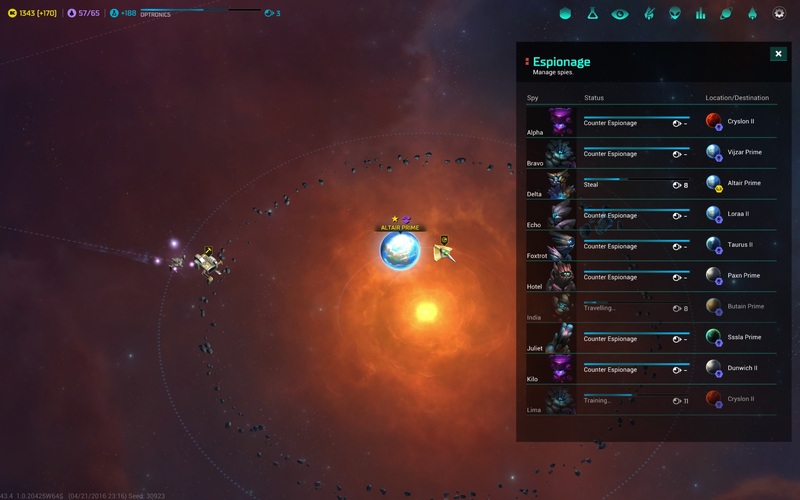 I was compelled to write this article because since Early Access 3 was released late last week, I binged on a large galaxy game that I completed with the Silicoids, one of the new additions to this edition of the game. I played as the Silicoids for my first game of Early Access 3. I may do a Darlok playthrough and make a new post. The Silicoids biggest disadvantage is that they take a huge hit (-25%) to research generated from population and have a significantly reduced growth rate. That’s okay. All the people not growing food can spend more time researching. The Silicoid’s biggest advantage is that they do not require food. Leave those farms empty. In many ways, this felt overpowered to me, but since this is my first playthrough with this version’s balance, it’s hard to tell if it’s the race choice or this version’s balance on Normal difficulty that put me so ahead of the pack. My biggest complaint was that the population-based racial perks seem to be empire-wide, and not per-population point. I conquered the Sakkra, and suddenly their homeworld didn’t require food, even though it was full of hungry lizard people. In previous editions, the population itself carried the bonuses, not the empire. I forsee a day where I create a Silicoid Crag that has overtaken the Psilons, enslaved them, and moved them all to my research planets to reap the delicious delicious techs. After you build the Spy Center, you begin generating spies every 10 turns or so. Spies must be assigned to a planet, including your own. A spy assigned to your own planet only has one mission available: Counter-Espionage, which raises the planet’s security rating. Buildings and empire perks can also raise the security rating. A spy assigned to another empire’s planet has far more options, but I only really explored a few. The orders you can give a spy puts them “deeper” into cover and expands their network of opportunity. 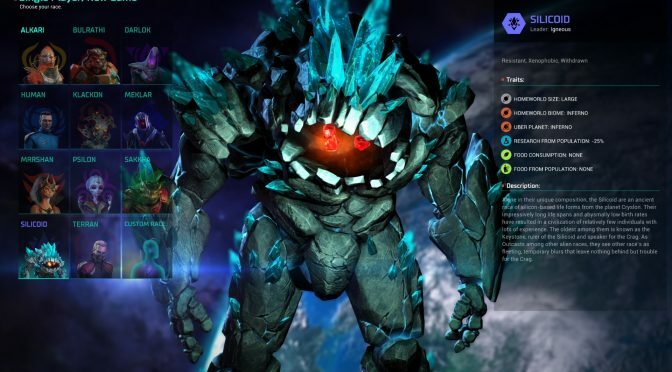 Once they arrive at a planet, they only have one option at first: “Acquire Data.” Once that is complete, you can now see a little more information about the enemy planet, and four new options open up. Each of these gives you access to more specific information. For example, the “Infiltrate Cybercrime” option gives you access to their research data. From there, you could attempt to sabotage their research efforts or steal a tech. Overall, I think this is headed to be one of the best espionage systems in a game like this. It is deep, not random (though success/failure certainly has some RNG behind it), and allows you to selectively attack and defend specific targets of opportunity. One of the new tweaks to the tech tree really helps bolster the utility of espionage, as well. The only techs you can steal or trade are the ones where you’ve researched something theoretically and are forced to make a choice. 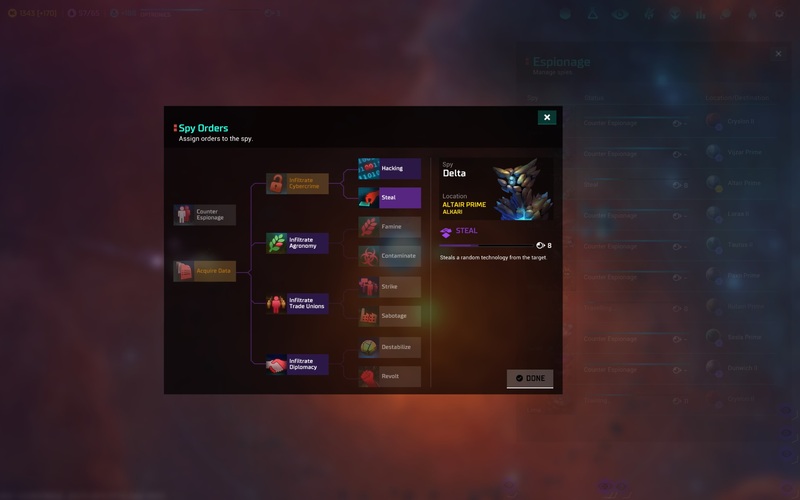 In this version, far more choices are added to the tech tree. Some choices are pretty hard, especially when you’re far out ahead of your rivals and know the alternate will be long coming. I’d love to say that this was awesome, and I certainly want it to be. I only barely scratched the surface of this feature before I won the game… with an Economic victory. I don’t know what the goal was or how I did it, but I did. It revolves around a Galactic Monetary Fund that each empire can buy and sell shares in. I bought two shares. A few turns later, I won. I honestly don’t know what happened. In any case, I was so far ahead of everyone else economically, that no one could match my fleet for pure strength or technological superiority. I’m hoping this one gets better. All in all, this is getting really close to a true follow-up to the best games in the series. The fact that the developers are really listening to feedback in addition to adding the new features is welcoming. For example, the VO on the advisers can be fun the first time you hear them, but become annoying after a while. They added a community-requested feature to turn off the VO for them without turning off VO entirely. It’s a minor thing, but could have a measurable impact on your enjoyment of a play session. Oh, and I never encountered a ‘minor’ race. How did I miss that?